Nobody wants to learn that they are going to have to think about getting their septic system repaired. However, repairs and maintenance tend to happen from time to time, especially when you want to be sure that you are always enjoying a properly functioning system for your home. Schleg Valley Construction is there to help you as an excellent choice in a septic repair service in Woodway. All you have to do is give us a call and we will be happy to address whatever issue that you may be experiencing. When you work with a group of professionals for all of your septic needs, you will have the peace of mind you need to know you are in good hands. Our team at Schleg Valley Construction is a group of highly trained and motivated individuals ready to give you the repairs you need at a great price. We have been working with customers in and around the Monroe area to offer all they need for septic pumping, inspections, repairs, and so much more. 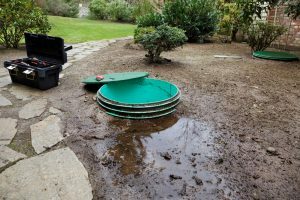 There is nothing worse than having some sort of septic emergency on your property. If you have a septic alarm going off and you need someone to check out your system, we can be there. At the same time, there can be other issues like poor draining sinks and toilets that are giving you problems that will have to be addressed. If you wait too long to take care of issues such as this, you can end up falling into a spiral where there will be major, costly repairs or even a failure on the horizon. It is important to work with professionals when looking for a septic repair service in Woodway. Call Schleg Valley Construction at (425)312-6750! We will be happy to come out to your location so that we can assess the problem and get it repaired right away.